Do you remember the FinePix REAL 3D W1, the “world’s first” digital camera that lets users shoot photos (and movies) in 3D? 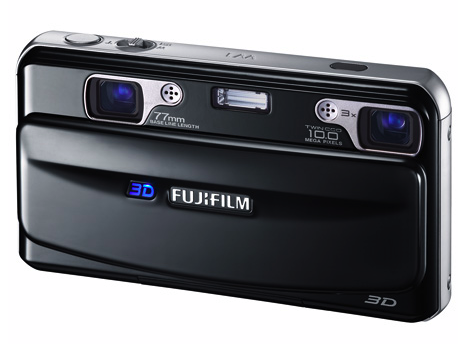 Announced by Fujifilm back in September 2008, the device, which you can see pictured below, became official one year later (Fujifilm in the US, for example, sells it online for $600). 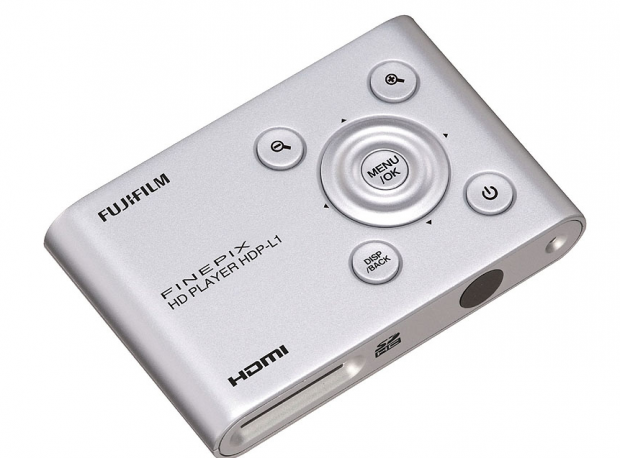 For those lucky owners of said camera who also plan on getting a 3D TV soon, Fujifilm in Japan has announced [JP] the HDP-L1, a so-called “HD memory card player” (pictured on top of this post). Once plugged into your brand new 3D TV via HDMI, the small device lets you view 3D pictures and movies you made on the W1 on the TV screen (all you need to do is to put an SD or SDHC card with the 3D material into the player). Fujifilm says the player also has a USB 2.0 port to connect to your computer (both Windows and Mac work), and it’s good to go with conventional 2D pictures, too. The HDP-L1 will go on sale in Japan on April 27 (price: $45). Fujifilm hasn’t announced anything yet regarding international sales (the device is already listed in English on the company’s global site though).